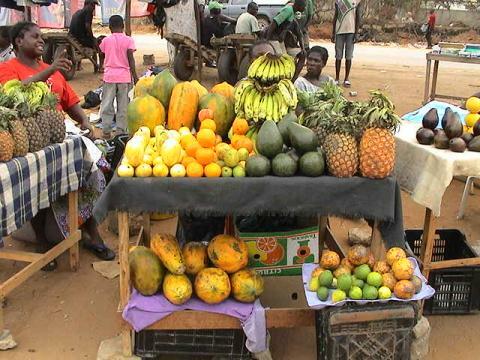 There are several great markets in Luanda, and none is particularly different from the other. What sets Benfica apart is the interesting crossroads of people that it attracts from surrounding countries. The artisen works here, particularly the jewlery, is really unique at this market. There may be some illegal goods, such as ivory, so use caution and your best judgement when purchasing gifts. The food market here is about the same as all of the Luanda markets, but the prices can be a little cheaper.